I don’t know. Being 40 something is an interesting period of life. It’s kinda a mid-way up the mountain, mid-way down the mountain kinda thing. Like, if I look down, over that edge over there, I see the news that another peer/friend/colleague has lost a parent, a spouse, possibly even a child. On that side, there’s a soul harvest going on. And then, overwhelmed by it all, I spin halfway and face the uphill side of the mountain and there along the path to the sun I see the photos of new babies, newlyweds, my former students hitting that “prime-of-life” period of finding a spouse, starting a family, growing a family, becoming the worlds’ busy and crazy, the standard bearers of culture and civilization marching to the front. And I’m just slouching through another day. Someone cue Casting Crowns Thrive right about now! But if I reach way back into the recesses of my brain, I do remember planning my wedding. I may be whacky, but I remember thinking that I wanted our guests to walk away with something that was unique and different, not just a cup of nuts and candies or a small bottle of bubble solution, but something that might grow and mature into its own constant reminder. We gave out packets of pine tree seeds. You know, grow your own pine tree by which to remember our marriage. Here, my memory is foggy. Did I try to grow a tree from one of those packets? Or did I simply dream it? I’m pretty sure I still have a few packets in a box somewhere. Any bets as to whether or not 19-year-old seeds still have life in them? I think Mike and Alisa are on to something here, however! 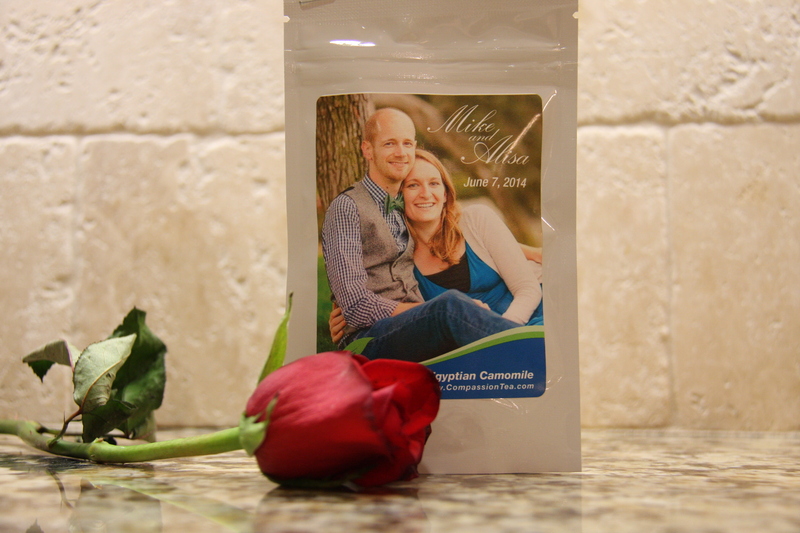 Mike is wrapping up his MDIV and Alisa is finishing her medical schools studies at UCSD. She will start her residency in July in Santa Rosa. Alisa donated her otoscope to Village of Hope Uganda this summer and she has a big heart for medicine in the least served parts of the world. They will both graduate this summer and then get married and start life together from there. 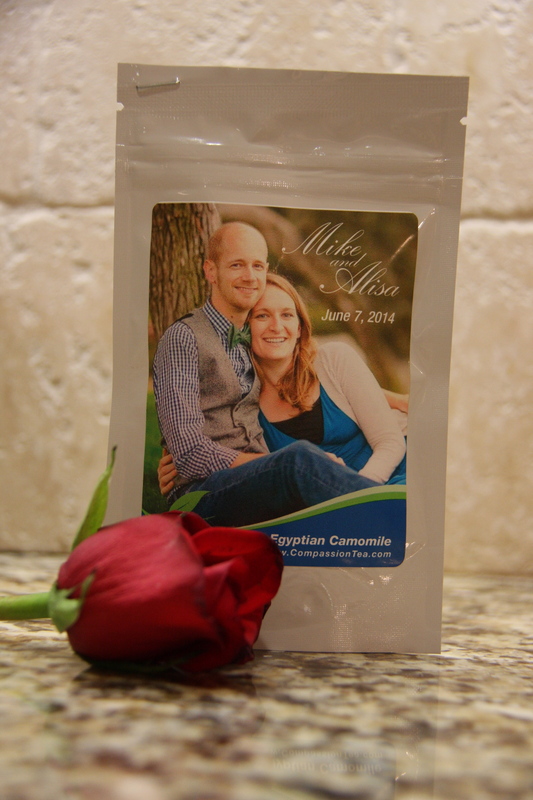 They wanted something unique to give their wedding guests, something that gives immediate pleasure, that is an enjoyable reminder of the day, and that also gives something bigger… in this case, hope for the world’s least served. How adorable would these be for a baby shower! Or add a photo of a grad and hand them out at graduation parties! They are perfect for bridal showers and wedding favors, as a special thank-you to employees, co-workers, teachers, or anyone whose work or volunteering you wish to recognize. Tis the season of banquets and good-byes and starts to new lives… why not mark it with a gift that gives back, too! My parents have no recollection of this. But I will probably never forget the day they came home from a parent/teacher conference and accused me of pretending to need glasses. I was in fifth grade and my teacher, Mr. Roth, noticed that I was squinting and having trouble seeing the board. Because I was so fashion-forward in those days (my, how motherhood has changed me), and because so many of my friends were getting glasses, Mr. Roth thought that I was putting on a show of not being able to see in an effort to get glasses. Of all the ludicrous ideas. I couldn’t see and frankly I didn’t know I couldn’t see. Up until that moment of accusation, I didn’t think anything of my squinting and blurry vision. With all of the other changes in my body at that time, this was the least of my worries! But when I put the glasses on for the first time and I could see individual leaves on the trees and the softball flying toward my nose and the notes I had to copy from the overhead, I realized what I had been missing. So Dr. Daniels checked my eyes. Then came the stunning news. I was going to have to wear glasses… all the time; probably for the rest of my life. I was shocked. A couple of months later the glasses arrived. I tentatively put the awkward contraptions on. They pulled my already sticky out ears even further into lifeʼs slipstream as they slid down my ski-jump nose. I thought I would just wear these “eye-braces” until Dr. Daniels went back to the States and my Mom forgot I had them. But something happened when I put those lenses in front of my eyes. The world changed. The trees had individual leaves. All I could see before was a green blur. The Andes Mountains had ridges and valleys. The whole world suddenly had texture and I could see it clearly for the first time. The morning after getting my first glasses I realized why I had to work harder than my friends to shoot baskets. For the first time in my life I could actually see the rim I was shooting at. “Big fat cheaters”, I thought. Anyone can shoot baskets when you can clearly see what you are shooting at. And, I could actually read what the teacher was writing on the black board. Now I could sit in the back of the class without staying after the others left to copy what the teacher had been writing down for us. 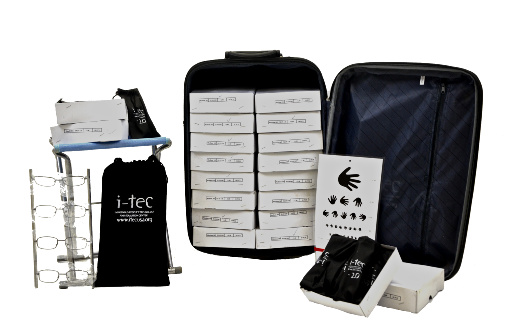 One of the I-Tec programs near and dear to Saint’s heart is his I-See kit, which is a portable eye care kit. The kit comes with 200 pairs of eye glasses in common prescriptions, 2 lens ladders for determining lens prescription, eye charts, glasses repair kits, and even a tape measure to make sure that whoever is using the kit is following proper protocol. It also includes a non-verbal teaching DVD so that anyone can learn how to perform a quality eye exam. Saint describes his vision for the program in this way: “Churches and individuals who are motivated by a desire to care for vision handicapped people with both their sight and heart (spiritual) problems can buy the ʻLevel One Kitʼ for $995 dollars. The level two – ʻthere are a pile of people out where Iʼm going so give me more glassesʼ Level Two kit will include all the tools and eye charts and yes, a tape measure, and will include two dozen, dozen pairs (288) of glasses for $1495. And the ʻI want a pile of glasses at the very best priceʼ – Level Three kit will include everything and the tape measure and three and a half dozen pairs of glasses (504) for $1995. Here is what makes the I-See program so visionary. You donʼt just go to some far off land and fit a bunch of glasses and leave. No, the idea is that we will not only teach you how to determine who needs glasses – people who will otherwise go on struggling with bad eyes – but we will also teach you to teach a local God Follower who lives where you are going, to continue doing what you started – after you leave. Sustainability is the key here. We teach you the I-See program and then you teach an Indigenous God Follower to do it (See one, Do one, Teach one). You (or your church or group) buy the kit. You take it with you on that short term missions trip you were going to go on (weʼll lead you through the planning and preparations) and you help needy people while you disciple a local believer to take over from you when you return home. You leave the glasses you have not used from your kit with the local ʻVision Enhancement Technicianʼ. who is capable of keeping the I-See program going and who will use it as a door opener for sharing the Gospel and starting or building up a local church. Best of all, in many places the person that takes over from you will be able to support themselves by offering the ʻSight Enhancementʼ services you taught them. This is how that could work. You turn the I-See kit over to them when you leave, at no cost. But you ask them and the local church to set a fee that the local population can afford – five to eight dollars per pair of glasses or so. The I-See technician agrees to set two dollars per pair of glasses aside to buy new inventory. The rest of the proceeds form a sustaining salary that allows him or her to spend full time distributing glasses and the Gospel Good News. 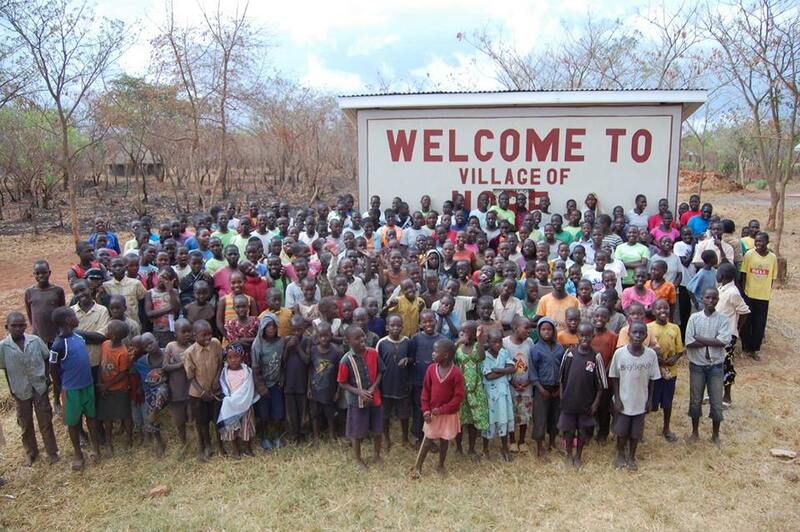 When Wendy Bjurstrom visited Village of Hope, Uganda back in August, Dr. Mac and Nurse Susan commented on the number of kiddos at the orphanage who were having trouble seeing. Through donations, CompassioNow was able to purchase one of these I-See kits and Village of Hope founder Cindy Cunningham took the kit with her this week when she went to visit the villages. I am so excited to see the photos of the kids with their new glasses and their new eyesight! What will they see? How will this sight change their vision and their world? Pause for a moment and think about the layers of meaning in those words! My mom once told me that her aspiration for me was to write a book. I cower under that prediction most days, wondering how in the world I could ever craft a J.K. Rowling-esque manifesto of intricate plot and characterization. When a friend told me that I should write more I snarked, “With what time?” And then I made the announcement that I was going to write curriculum and I’m staring at that announcement like I’m having an out-of-body experience wondering who was it that uttered that insanity and how in the world can I go back and undo her blathering. But writing is me. And it may just be a 2 sentence Facebook post or it may be a poem composed while running or it may be a full on blog. But I do write words. And I write lives. I’m in the business of creating character, in creating life-giving relationship and navigational skills in two little dear ones that God has placed in my current care. And of course the clock is ticking on that one and the world is growing louder in the ears of my kiddos. Calls to look and listen and do what is so enticing and shiny and fun but what leads straight down paths that are dark and defeating. My story is their story, at least the first part of it. And I wonder what part of my story writing goes along with my letter writing to a little dear one in Uganda. As my letters wing their way halfway around the world, what are they taking with them and what will be sent back this way? It hurt my hand yesterday to write those words, to actually have pen in hand rather than a keyboard under anxious fingers. But it was so much more real, too. The movement of the pen, an extension of the soul. How will this plot develop? What characterization is forming? Is there resolution? Writing is action that wells up from the soul. Living is the same. Writing and living, living and writing. And with 5 minutes rounding this out, I now have Francesca Battastelli’s Write Your Story on My Heart stuck in my head! is making a huge difference! 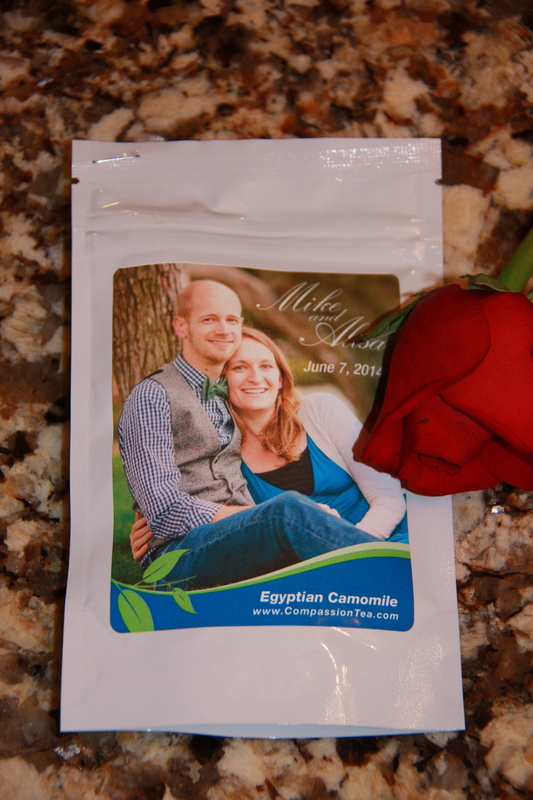 Visit us at www.compassiontea.com to learn more! Joyce and her three cousins/siblings are being tutored weekly by former Ajiri student, Winstone. Joyce is first in her class! Spring is the season of growth. And here at Ajiri Tea we are growing. 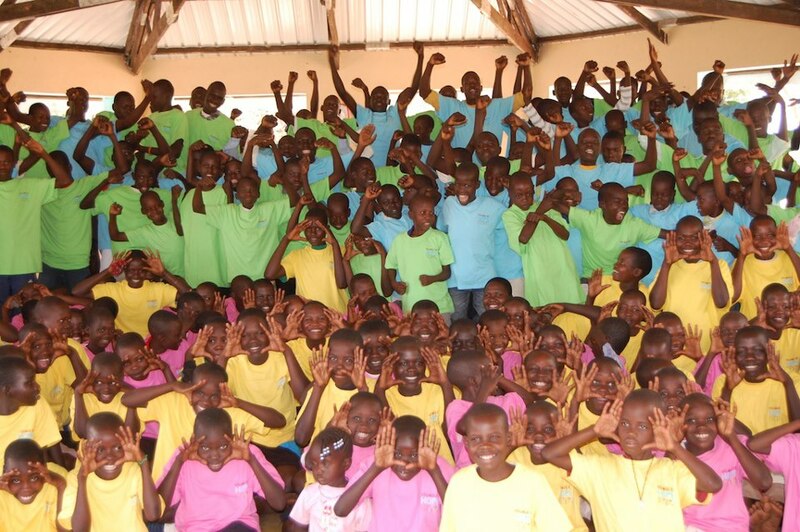 Our tea is now sold in over 500 stores and the Ajiri Foundation is now sponsoring 29 orphans in school. But it takes more than sales and more than school fees to make a business and foundation actually work. It takes caffeine, drive, and a quick reminder of why we do what we do . . .
Winstone just graduated from high school in Eldoret, Kenya, after being sponsored by the Ajiri Foundation for the past four years. 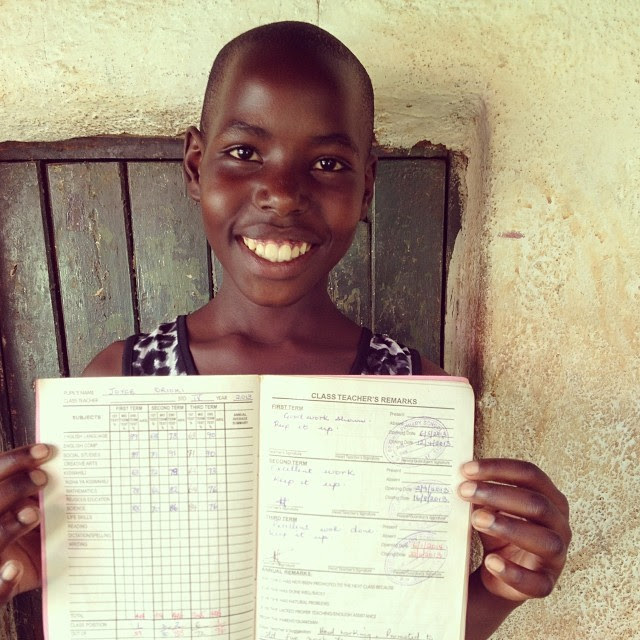 In March, Winstone received his national exam results: a B+ average. This score will qualify him for admittance into a top university. Winstone knows his good success is well-earned, but he also recognizes that he couldn’t have done it without some help. Ajiri Tea is trying to raise not only academically successful children but emotionally successful and perceptive young adults. Winstone is both. After graduation in November, he offered to accompany the younger students to school. He helped them buy their school supplies and spoke to all of the Ajiri students and their guardians. While he waits to be admitted into University, Winston has been tutoring four younger Ajiri-sponsored children, going to their small house every weekend. He is just as invested in their success as we are in his. Winstone is the “cool older brother” figure who plays the roles of teacher and mentor. He explains his own trials to these children: His father died ten years ago, leaving his mother and three sons. His mother was not well, and before being employed by Ajiri Tea to make labels, struggled to find enough money to pay for food and medication. And being at school wasn’t exactly easy for him. He missed home, feeling obliged to help and worried about his family. He struggled to focus on his studies. 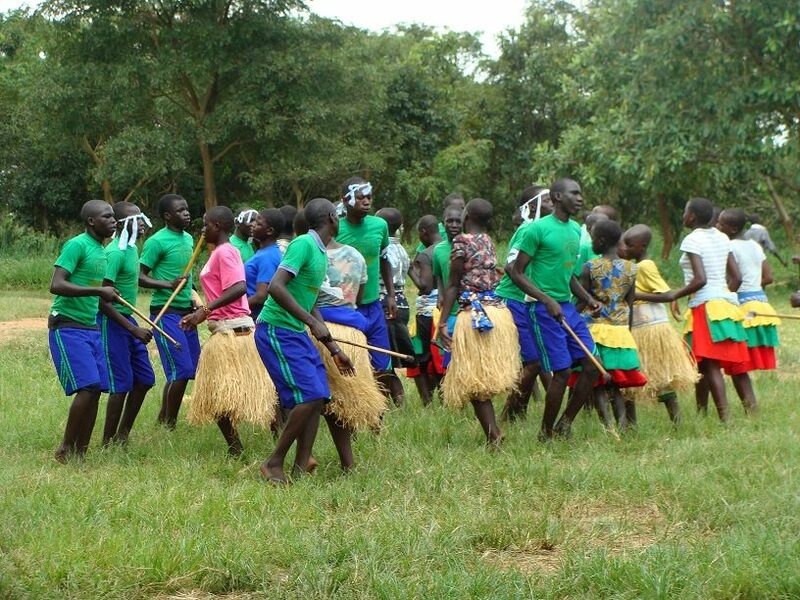 It takes more than paying for school fees and more than selling boxes of tea and coffee to create success. It takes investment, and we don’t mean money. We mean real emotional investment that transcends to others. 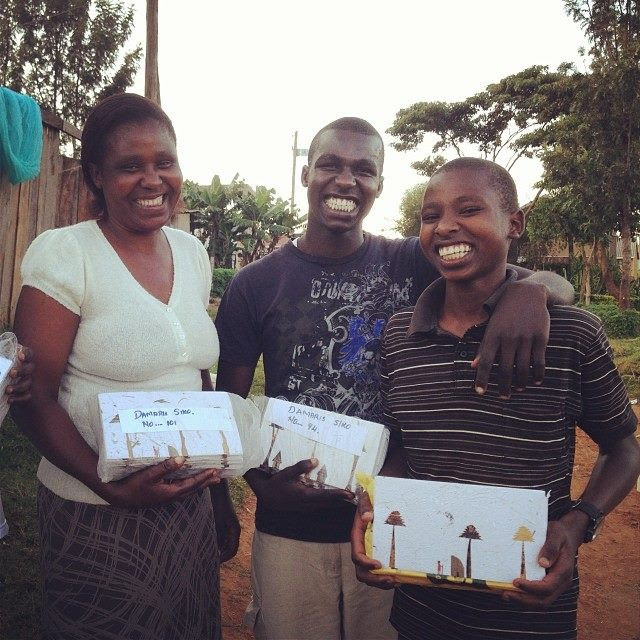 As customers, your investment and enthusiasm is felt beyond the box of tea you purchase–it is felt all the way in Kenya by students like Winstone. And in Kenya, Winstone’s energy and commitment is felt far beyond himself. We are constantly amazed. Amazed by the generosity of our customers who continue to support us. Amazed by the generosity of the aunts and uncles and grandparents and neighbors and teachers who care for so many of our students. And amazed by students like Winstone, who has received an education and immediately turned it into an opportunity to give. We give our thanks to you, our customers, who make this cycle of opportunity a reality.